- Increase your skill ratio to hunt some more at "Skill Ring Fest"! - Get your Evolution Gangue more reasonable with "Gangue Jackpot" on sale! * "Skill Rings" are Accessories. * Skills on the same Skill Rings cannot be used at the same time even though you equip them at the same time. * Skills on "Skill Ring" can be used with any weapons. Get your Evolution Gangue more reasonable with "Gangue Jackpot" on sale!We are starting with the sale of "Gangue Jackpot" where you can win "Evolution Gangues" and "Gangue pieces" with 1x for 1 Gem! Now is the chance to collect those Gangues! 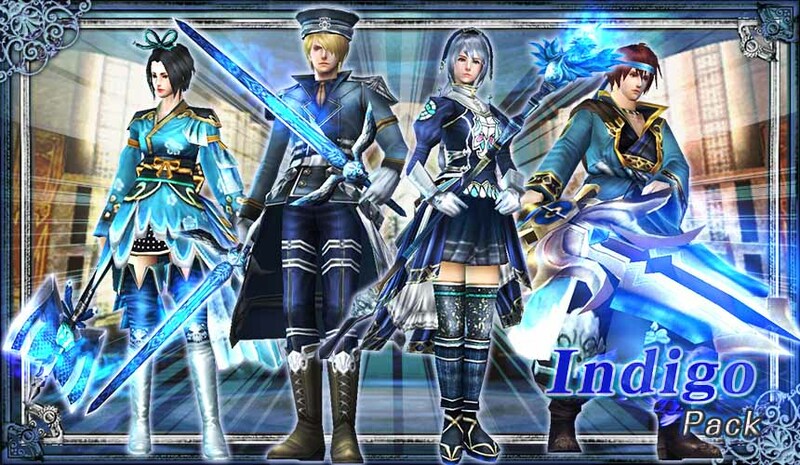 1 Gem per "Spin x1"
10 Gems per "Spin x10"
[25% OFF] Indigo color Avatar set guaranteed! Don't miss this great chance to get a set of Indigo color Avatars for each parts in a discount price! * Described as ''1 Spin'' but prizes will be a total of 5 Avatars.